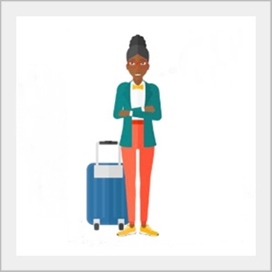 It’s an exciting time for many black women in the US, UK and around the world. It is like a second wave of African feminism – this new era of liberation from the shackles of European standards of beauty where we are finally embracing, loving and wearing our afro textured hair with pride and some style! The bloggers and vloggers that provide advice on caring for and styling afro textured hair have finally been acknowledged by the mainstream media and news of the natural hair revolution has appeared in the New York Times, CNN, WPTV and many other mainstream news media outlets, inspiring scores of women to embrace their afro textured hair in its natural condition. 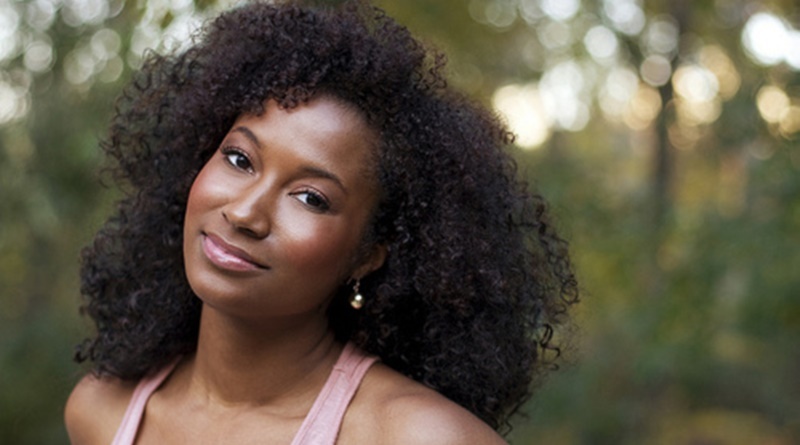 For the young black women in their teens, twenties and even thirties – they still have plenty of youthful years to enjoy their natural hair and to grow it long. But for women like me over forty, the sense of joy and excitement at falling in love with our natural hair is tinged with a little sadness, and anxiety. I regret that I didn’t go natural years ago when I was younger and when my hair was stronger. I could have enjoyed my natural hair when I was in my prime, instead of hiding my natural beauty under relaxers and weaves. I am also somewhat anxious about my hair as whilst adopting an effective hair care regimen can help to retain hair length, I am conscious of the fact that as we get older our hair gets thinner. I remember my late mother having thin hair around the temples and on the forehead. I have seen exactly the same thinness in her surviving younger siblings. Am I destined to lose my hair before I can enjoy it in its natural condition? Will I ever grow my natural hair past my shoulders, where my stretched twists currently reach? I am both inspired by and immensely proud of the YouTube vloggers that have made a name for themselves whilst helping millions of black women between them to style, manage and grow their natural hair. KimmayTube, Naptural85, Simply Younique and Curly Chronicles are my favourites. But I can’t help noticing that they are several years younger than me and wonder if their hair success is partly attributable to the fact that they have youth on their side? 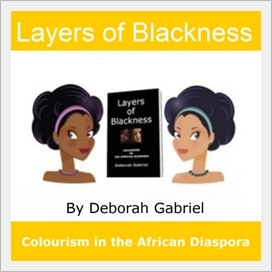 There is a plethora of information available in books, blogs and vlogs on how to manage, style and grow afro textured hair – but I can find precious little information about growing afro textured hair when you are over 40! From the research that I have managed to gather, it seems that whilst growing hair for women over 40 presents some challenges, there is still hope! On the downside, as we age our hair loses strength, moisture and elasticity and then there are the dreaded grey hairs. For afro textured hair this presents greater challenges since the hair is already prone to dryness and breakage. The best way to combat this is to moisturise the hair every day without fail. When I first went natural in May I compounded these problems by using a permanent colour and using ceramic straightening tongs every day for about three weeks. I am lucky I have any hair left on my head! I will not be using a permanent colour in my hair ever again and have found a natural alternative called Herbatint, but will be waiting until the end of September to apply that. I have also banned myself from using the straightening tongs and no longer blow dry my hair after washing. These actions have helped me to nurture my hair back to health. Improvement in the condition of my hair has also resulted from adopting a consistent hair regimen . But the biggest improvement I have noticed has been from spraying my hair with a home-made moisture mix twice a day – once in the morning and once in the evening before bedtime. This consists of distilled water, vegetable glycerine, aloe vera juice and a little olive oil. My hair feels soft to the touch and breaking and knotting has been greatly reduced. the hair too tight will keep more of our hair on our head and therefore reduce the impact of thinning hair. According to a 2006 article in Ebony magazine, thousands of black women suffer from hair loss due to age, heredity, hormonal changes and alopecia – which we have no control over. Dr R Martin Earles is quoted as saying that hair thinning and hair loss affects up to two thirds of African American women by the age of 50. But the good news is that by far the most common causes of hair loss are self-induced and not caused by uncontrollable factors such as age. Traumatic alopecia is the term used to describe hair loss from improper use of chemical products, excessive use of heated tongs, hot combs and blow dryers, gluing hair during the weaving process and combining a relaxer with another chemical treatment, such as a permanent hair colour. Traction alopecia is probably the most commonly known, due to the unflattering pictures of super model Naomi Campbell. It results from excessive pulling of the hair usually through braiding and cornrows when used with extensions and weaves. Whilst we cannot turn the clock back and we cannot change our genetic make-up, there is still plenty that we can do as black naturals over 40 to keep our hair healthy and to retain growth. Does this mean that I can grow my hair past my shoulders towards my waist? That I don’t know, but I intend to have fun trying! I would be very keen to hear from afro textured naturals over 40 – what works for you and have you managed to grow your hair long? ← I wore twists to the party! Thank you Deborah- at last an article on natural hair for the over 40s!! I currently have natural hair and have been inspired by the bloggers on FB and YouTube but most seemed to cater to the younger generation. Whilst at 46 I don’t consider myself old I was beginning to think is anyone out there over 40 with concerns about how to maintain natural hair and where to get good products? I have tried a variety of hairstyles over the years and done some damage too but as a result of illness when my hair fell out in clumps I decided to go natural, and I can say that I wont be going back. I’m in my mid 40s & have been natural for 7 mths. My hair has grown abt 4 inches, which is terrific considering I hadn’t seen any growth for the last few years while I was relaxed. I had my 2nd child 3 years ago & had lots of thinning & breakage afterwards. I try to avoid products that contain the “no no” ingredients but I’m not a stickler for all natural, 100% organic products. I don’t care about having long hair but I want it to grow back to where it was before my BC, which was shoulder length. I’m going to put my hair away & wear wigs until Dec to see if I can get more growth. I stick to a regimen & moisturize most days, I don’t do anything special. Good luck to you. This article was thought-provoking, and I’m glad I moved from your NatSun synopsis of it and came here. So many points resonated with me. Towards the latter years of my mom’s life, her hair was thin, almost non-existent at the temples. At least 2 of my sisters have the same thinning temple line and thin hair, which they’ve now begun to cover with weaves. Primarily, I thought about your comment regarding the young women and their success with their hair journeys. When I began, somewhere on the back burner was this ever-present thought: ‘Am I too old for this?’ Well, I’m still not stepping back, and like you, I’ve changed a number of habits–not just for the sake of hair, but in light of keeping ALL of me healthy and around for the 2nd half of my life. I am 48 years old and I have always had fine, thin hair. Now that I am older the problem is even worse. I am natural and have been all my life so the thinness is hereditary and not from chemicals. My mother and all her female relatives have thin, fine hair. Honestly I hate my hair and I do not know what to do with it. I have tried so many of the products for natural hair. The problem is most are for women with thick coarse hair and when I use the same products they weigh my hair down. I can’t do twist or braid outs because of my thin hair and when I wear it loose with water and olive oil it looks old-fashioned like a jeri curl. I am seriously thinking of wearing wigs and weaves. I HATE MY NATURAL HAIR! Hi Cathy, I really feel for you and totally understand where you are coming from. My hair has also always been fine and when I went natural it had more body but I also found it difficult to emulate the natural hairstyles plastered all over the web such as twist-outs, braid-outs etc. Despite the fine texture of my hair going natural still gave it more body but I did not really feel that afros and twist-outs was for me. I have now been texlaxed for the past two months and my hair is a lot more maneabgle. It will always been fine but has gained a bit more body through the supplements I am taking (please see http://lifestylechallenge.deborahgabriel.com/2012/10/15/texlax-update-and-hair-supplements-trial/ ). I can also achieve more body with my hair by using bendy rollers (not curling tongs). I also mix up a setting lotion formula that consists of Lottabody combined with olive oil and coconut oil. Curls are the best way to add more body to your hair without cutting it, which is the alternative as trimmed ends always make the hair look thicker. I used to hate having fine hair but have learned to love it and would prefer to keep working with it rather than getting a weave. In the long run weaves will only thin out the hair even more, whereas nurturing your own hair may require more time and patience but is worth it in the long run! Cathy you and I have the exact same issue. Before 50 my hair was thin and fine but it was long and when I straighten it it was beautiful and I have been relaxer free for more than 10 years now. But now at 53 my hair is so thin I have to wear a wig. It has a little length still but it appears to be balding in the top. This is also what has happened to my moms hair who is 81. She still gets relaxers from time to time. I now wear it in an individual braided style which I pull back when I wear my wig. I just started doing that this past month. Before that I just pulled it back and wore the wig. So far it's doing ok but I feel I could go bald at anytime. Thank goodness for wigs. I also work out every now and then and I take a biotin vitamin. 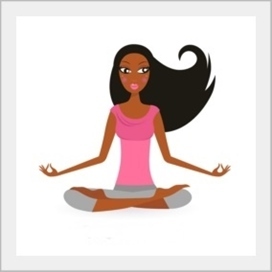 Good luck to all you ladies in your journey to long heathy hair after 50 or befor 50. I love you all. Hi Paula, I’m so glad you’ve found my blog useful. We are not over the hill at 40+ – our lives are just beginning and the best is yet to come! 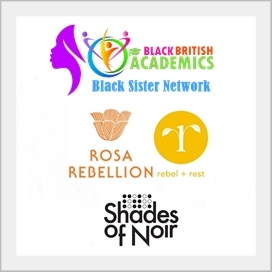 When you create your blog be sure to join Black Bloggers UK & Int’l Network: http://blackbloggersnetwork.co.uk/ ! Thanks so much for this post. I am way over 40 and I wear dreads and I’m loving it. I use nothing but natural oils such as coconut oil, shea butter, olive oil or a mixture of all three and it has made a big difference to health of my hair. But another amazing oil that has proven to help hear growth is castor oil. I first found out about its hair growth properties when I was researching how to regrow my eyebrows…it works on eylashes as well. I’m 49, will be 50 in October. 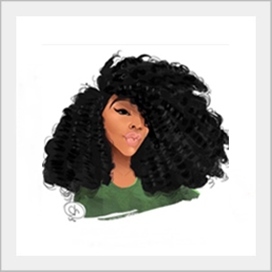 Thankful to have found your blog…..decided last month that I will no longer telax my hair and go natural. Hair has thinned since I’ve gotten older, I’m assuming it’s hormonal since I was on a healthy hair journey with my hair prior to this decision. September was the last time a relaxer was applied to my hair, hoping to at least be able to hit shoulder length with my hair natural. Wish I’d had done it sooner seeing how I would only telax once a year. I could kick myself……Thanks for the post! Thank you for asking this question. I would say with a resounding YES–black women over age 50 can return to our natural hair state and grow it out if we so desire. I returned to my roots at age 58 (I am now 60) and my hair is healthier now than it was in my teens when I first wore an afro. There is much to learn from the younger sisters who blog and vlog about natural hair care. I think we older sisters have a lot to share as well. Now is the time. I am over 50! I have type 4a hair and I have being natural for over 10 years. I use to get it pressed but for the last year has gone totally natural. No heat at all! I am enjoying my hair and being me! I am on the hair journey at 62 ! I wore a TWA & later a huge fro in my 20s, then relaxed for about 20 years. I returned to a texlaxed TWA about 15 years ago and then discovered the YT Sistahs, ( wow how exciting). I don’t know how I will look with longer natural hair, but I am trying to restore it to good health. Unfortunately, medication for age related issues have thinned my hair and caused breakage. I am hoping that my daily and nightly hair routine will repair its condition. This journey is a personal quest and I will patiently work with these old tresses for hopefully, positive results. Wish me luck. What an inspiring story. I definitely empathise with the hair thining – there are many medications and illnesses than can cause hair to lose a lot of its density, even in younger women and it means double the effort to keep the hair as healthy as possible. A daily mositure and seal routine will certainly help to minimise the hair loss. I wish you all the luck in the world – do stay in touch and keep us updated on your progress! I first went natural 16 years ago. I was in my 20’s then and had locs. In the 8 years I wore my hair that way, my hair was nearly waist length when I finally cut my locs off. My hair had not grown that long before nor has it since then. Since hair thinning runs in my family, I’m much more concerned about my hair looking full. Plus I’m having a lot of difficulty covering my gray hair. I am forty seven. I decided to go natural. I stop perming and coloring my hair a couple of months ago. I wore a wig and no one knew I was transitioning underneath. In June, I cut my hair low to show my true hair color, “snow white”. I love it! I get so many compliments about my hair. I hear so many women say that they wish they had the courage to wear their natural hair. I am who I am and I love me. I'm now in my late 40s and have been on /off natural (mostly on) for the past 20 years. I've noticed my hair becoming thinner but not sure about changes in texture because I dye my hair to a reddish brown color and dye changes the texture. I am going to stop dyeing (I think, the greys are just starting to sprout around the hairline), but was thinking about locing because, while I love my natural hair, I am tired of having to think about what I am going to do/how I am going to manage my hair everytime I have to take an extended trip (for work or pleasure). I am wondering if my texture with change enough to become more easily managed or if I should loc. Would love to hear thoughts…. I'm in my early 40's and decided that I wanted to wear my hair in it's natural state. I haven't had a relaxer since 2006 but I would go every 2 weeks to have my hair washed and flat ironed and sometimes wear a sew in with leave out causing a lot of heat damage but my hair was full and bra strap length (middle of my back). In July I decided to begin my natural hair journey with no heat, incorporating natural products and a hair care regimen. I also adapted to wear protective styles. I must say that we feel this is the worst decision I ever made!!! My hair has been coming out in CLUMPS and shedding like crazy. I have researched the natural hair community to remedy this situation and nothing has worked for me. My hair is now above my shoulders and broken off all over and has not shown any hair growth at all. I am now miserable and don't want to cut all of my hair off, I just really regret this decision and cry all that the time when I look at my hair. Over 50 & have been wearing my natural hair almost forever. It has remained very thick & curly (4b/4c). Had it Professionally relaxed abt three years ago & it began to break off. I twisted it and transitioned back to natural…vowed never to mutilate it with chemicals again. Hair is again past my shoulders. I moisturize it daily with homemade blend of aloe, olive oil & Shea butter. Natural is (in my opinion) the best way to be. 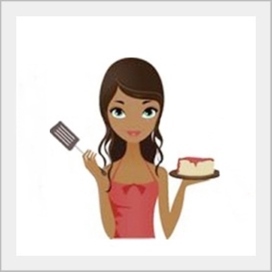 Thx for your post – loved it! I’m 62 and love my natural hair. So far my hair is thick and i’ve had my natural hair for about three years, and currently thinking about locs. At first I would trim my hair until I was told I was cutting my growth off, I use a mixture of tea tree oil , with wild growth oil, and occasionally I may use peppermint oil, and mix all oils with water. Hello everyone, I am 54 and have worn my hair in a short fade for over 20 years…long before it became popular…and started growing it March 2016. Thank you for this, I'm constantly looking for articles about women our age and growing their hair. As noted, most of the bloggers and vloggers are young women with a headful of hair and years left to grow it. Please post more information re: our generation and our crowns. Thank you, A grateful reader. Hello beautiful ladies I am mixed and 42 years old my hair is natural multitexture. I have never chemically straightened it but I have been doing permanent coloring and it’s been mechanically damaged. I am from 3b-4a. I am worried it’s thinning a lot and it won’t grow. What vitamin or product can I use for curly hair growth after 40? Thank you for this inspiring article. I had been natural since 2006, at age 56 which is also when had small locs installed. My Locktician formerly worked with/under the Sisterlocs brand however developed her own thus the style looked the same as far as the pattern. My hair grew to beyond bra length and began to thin around edges, even had a bald spot. I purchased a truckload of natural products and vitamins trying to regrow my hair before chopping it off iJuly 2017. My hair is growing but slowly and I too cover it up with wigs. I am going to apply suggestions from this blog to work on getting my beautiful hair back, even at age 68. 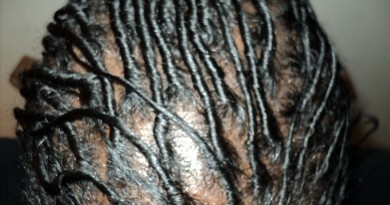 I didn’t mention before getting locs in my 50’s my hair was shoulder length. 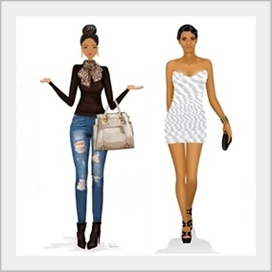 Thank you ladies for sharing…..our younger sistahs need to know what to expect at 50-60+. i never used braids or weaves so I still have baby hair around the front of my hair. i did have a relaxer for 20+ years, but had my hair professionally done so no scalp damage. I went natural say around 40 – 45 YO. i’ve always had thick coarse hair…grew like crazy in my 30’s,but at 47, the ‘change’. length gone. I began to color using semi permanent at the roots. Post 55, texture change, the coarse thicker shafts are shedding. 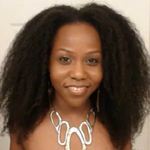 my hair is soft and has more breakage, although using natural moisturing products. no thinning at the front hairline and hair continues to grow 1/2 inch a month. My mother had thick hair, so I assumed I woul b the same. But I see as I have aged, I gotta help my hair stay on my head!!! less pulling and ponytail styles. I plan to increase conditioner sessions when going to salon. i took that process for granted. as others have stated hair post 50 needs natural quality products. and feed your body….B12,biotin,vitamin D, veggies, good protein, and exercise. 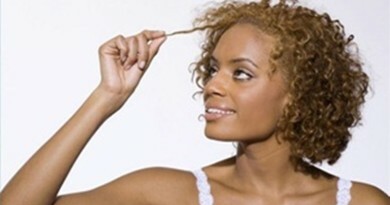 as hormones change and dry up, this affects your hair follicles and growth. i know for some thin hair is inherit, so hard to fix that and as one sister said, she wears a wig. I began to transition from relaxed hair to Natural hair at 56. Three years later and my hair is past my shoulders. At 59, my temples are very thin, and my hairline has receded some, but the rest of my hair was thick and healthy. I wore my hair in corn rows under wigs and did very little to it. Never used heat of any kind. I recently decided to dye it, and get a flat iron style. Now it’s super dry, thinner, and shedding. I will never use heat or hair dye again. The texture of my hair has changed and it is not as strong. I will go on from here and pray that when my hair is stronger, I will be able to ditch the wig all together and enjoy my hair. I believe everyone should wear their hair anyway they please, but for me, I absolutely love my natural hair.